Wholesalers wanting to make the world a happier place in the gloom of early 2019 should be sure to stock a wide range of chocolate and sugar confectionery, and encourage their independent retail customers to do the same. That’s the message from the suppliers we talk to in this feature. Spring Confectionery comes into its own when consumers are feeling low after New Year, and plays a major role in the wholesaler’s offering to their independent retail customers between then and the yearned-for arrival of the warm weather a few months later. In the dark days of January, crème eggs and other chocolate and sugar goodies brighten shoppers’ lives as a welcome excuse for self-treating amid the gloom. That said, we’re all supposed to be turning into self-treaters but according to the experts, gifting accounts for more than 60% of chocolate occasions – so we’re not all bad. The first big event for confectionery gifting is Valentine’s Day, on February 14th, followed by Mother’s Day on Sunday March 31st. And then we’re on the home run to Easter, which this year runs from Good Friday, April 19th through to Monday April 22nd. Easter is the biggest element in this market. For millions of churchgoers Easter follows the self-denial of Lent and is an important time in their calendar. But for the majority of people in Britain today, the Easter weekend is about creating memories with loved ones through treats and traditions – especially sweets and chocolate. Delia Metral, Brand Manager at Mondelez International, the makers of Cadbury Crème Egg, says timing is key for retailers and wholesalers to maximise the Easter confectionery sale season from a fast start in January to a fanfare finish during the Easter weekend. Mondel?z holds the leading share of shell eggs and number one position in miniature eggs, and single serve and was the number one manufacturer this Easter, with 44% of the market. 82% of the British population ate a Mondel?z Easter product during the season, with Cadbury Creme Egg the number one brand overall. Marketing support for Easter 2019 will begin on New Year’s Day, with the launch of a national Cadbury Creme Egg promotion, ‘Hunt the White Creme Egg.’ The trade side of this includes a convenience channel exclusive promotion, where a retailer could win £1,000 if a White Creme Egg is found in their store. The Cadbury Creme Egg hunting season will also return to TV in January, supported by digital media. In time for January self-treating Mondelez are also introducing Cadbury Oreo Egg, previously a huge success in Canada. They also offer Cadbury Caramel Egg, Cadbury Mini Eggs Carton, Cadbury Mini Eggs bag, Maynards Bassetts Jelly Babies Chicks and Cadbury Dairy Milk Bunny. Mondelez’s products which are ideal for sharing in February and March include Cadbury Mini Eggs and Cadbury Egg ‘n’ Spoon and Cadbury Heroes favourite Cadbury Creme Egg Twisted, launching in a convenient bag format. As Easter gets nearer, it is crucial to stock family sharing and gifting products. Shell eggs are important as consumers go on the hunt for surprises and gifts for their loved-ones. “Wholesalers should also encourage retailers to create eye-catching displays for this occasion to attract shopper attention and maximise sales.” Spring gifting occasions, including Valentine’s Day and Mother’s Day, provide a key opportunity for retailers to drive sales. 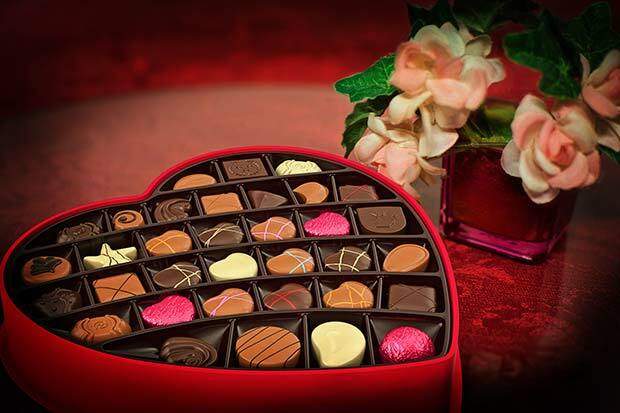 The ultimate favourite brand from Mondelez for Valentine’s Day is Cadbury Milk Tray, with sales of £17m last year. The number one ‘Thank You’ brand, Cadbury Roses turns 80 this year. Also from Mondelez, it makes a classic gift for saying ‘Thank You’ to Mum on the special day. To coincide with its 80th birthday, in September Cadbury Roses unveiled a new £2.8 m marketing campaign celebrating the brand. Mother’s Day and Easter fall later in 2019, says Jodie Wood, Business Unit Controller at Ferrero, extending the trading period and giving a greater window for seasonal sales. Ferrero has a wide range of seasonal and limited edition products joining the core line up to appeal to each occasion individually, and they are investing in media campaigns to support retailers at Valentine’s Day, Mother’s Day and Easter. For wholesalers, says Jodie Wood, the real strength of the Ferrero range is in the core products that deliver all year round value and see significant spikes at these occasions. “We are seeing good growth across our portfolio, which continues to be driven by success at key occasions throughout the year, the leading ones being Christmas, Easter, Valentine’s Day, Mother’s Day and Diwali. At Ferrero, our market share has more than doubled since 2013 and it is now up to 6.9% including Thorntons. “In the lead up to Easter, we see increases in selftreat/ impulse purchases as consumers get into the spirit of the occasion. Retailers tend to start stocking up in January, to meet shoppers’ needs for Spring, so wholesalers need to make sure they have the right products available as soon as Christmas sales end. In addition, we know that the six weeks leading up to Easter are crucial for spring purchases, so wholesalers should place an even greater focus on the occasion ahead of this period. The two main trends Ferrero believe wholesalers should be aware of for Spring Confectionery are sharing and premiumisation. Sharing # Just over three quarters (74%) of consumers say that spending time together over Easter is important to them and two in five shoppers claim to celebrate Easter so there are no surprises that chocolate gifting is a significant part of this with £210m spent in total. #42% of families often have a family meal at home over Easter and 66% of people tend to spend the holiday visiting family and friends. During these occasions sharing and gifting products such as Ferrero’s boxed chocolate range play a huge part. #The popular sharing bag from Kinder – Kinder Choco-Bons – is also very popular around Easter, as it appeals to the whole family and relevant for the occasion. Premiumisation #With 76% of shoppers valuing the quality of chocolate over the quantity of it, they are more willing to spend more on premium products. Confectionery is one of te few categories where consumers are willing to trade up to more premium treats. # Ferrero’s seasonal lines from Raffaello, Ferrero Rocher and Thorntons play into this consumer need by offering shoppers an assortment of premium and relevant products. “The retailers have told us,” says Jodie Wood, “that confectionery is the main category they would like more support on. While we are working on the products and promotional assets to benefit retailers in store, wholesalers can provide additional support to help drive sales directly. “Because the confectionery category is so diverse, with many brands for retailers to choose from, it can be difficult for them to know where to start, faced with all the options in a depot. However, we also know that the majority of retailers prefer to stock the best sellers they know their customers are looking for. These best sellers should be easy to locate in depot, and brand blocking should be used so retailers can grab what they’re looking for quickly and easily. “The speed of evolution in this sector is fast, and we need to ensure we are listening to our customers’ needs and adapting our tools. Last year we launched our trade digital platform, Your Perfect Store. While it targets retailers directly, it helps to drive sales and grow the category, to the benefit of wholesalers. The relationship between retail and digital is constantly evolving and Ferrero are increasingly using Twitter to share their top tips. Early on in the season, says Chirag, it is important to focus on treats. 68% of shoppers who bought Easter treats like to treat themselves in January, even if they’re trying to be healthier at Christmas and 70% of shoppers like a sweet treat to pick them up in January. This year the Mars portfolio also sees seasonal NPD from the world’s number 1 confectionery brand, M&MS. M&MS Eggs are proven blockbusters in the USA and Australia and are launching here for Easter 2019. Finally, Nestlé Confectionery has invested in an eye-catching redesign for its full Spring range, giving each pack a recognisable and consistent seasonal look. The new nest design features on every pack, alongside clearer descriptions of what each contains. Nestlé Confectionery’s Spring range for 2019 focuses on offering consumers its big brands in the season’s bestselling formats, and features innovation in mini eggs, large eggs and giant eggs as well as an exciting new range of Incredible eggs. There are brand new large egg launches from SMARTIES, ROLO, TOFFEE CRISP and YORKIE, whilst the specialness of the new KITKAT Chunky Salted Caramel Fudge, YORKIE Raisin and Biscuit and SMARTIES mini eggs Incredible Eggs is certain to excite consumers. The mini eggs segment is worth £73 million and in longterm growth. 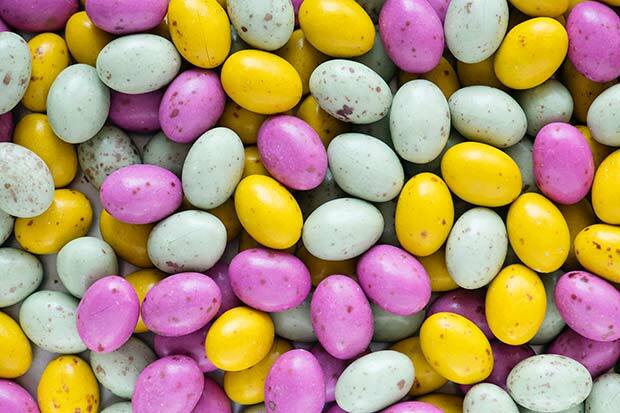 Nestlé is the fastest growing mini eggs manufacturer, with sales up 62% year on year despite the 2018 Spring season being two weeks shorter than the previous year. 2019 will see the return of family favourites SMARTIES mini eggs, MILKYBAR mini eggs and Orange SMARTIES mini eggs.